AIS Quote Of The Day – Will Healthcare Ever Be Like Nordstrom’s? Can you talk a bit more about how site of care strategy will result in 17% savings (key components)? What about the repercussions on the provider network? Thanks! Site of care is a key topic of discussion within the PBM/pharmacy market right now. The reality is that pricing varies based on where the care occurs. For infusion drugs, the patient can receive them in a hospital, in a physician’s office, or in the patient’s home. George, with all due respect, is this a puff piece sponsored by CVSC? 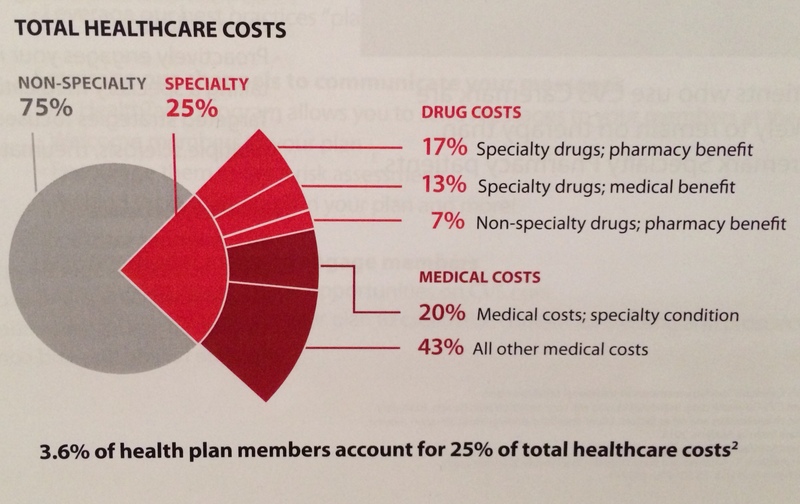 I have been working with CVS Caremark’s Specialty Pharmacy as a health plan for almost 10 years and have heard a lot of this type of information before, but what they actually do for their clients is not what the pitch on “the circuit” . They are in it to make money for CVS Caremark as they are a public company with shareholders to please. Believe me their clients are not experiencing anywhere near a 0 trend, the only way this is remotely possible is if their clients are consolidating their provides(who they have terrible contracts with) to CVS Caremark. And that would be a 1 time benefit. That could be done with any vendor you are willing to give all the business to. Their clinical guidelines are mediocre at best, their day to day clinical management of the member/patient is not existent. You would speak with their clients that are experiencing the 0 trend and then right the article again. This wasn’t a sponsored piece (otherwise I would have disclosed that). I didn’t say their clients were experiencing 0% trend. What I said is that he laid out a roadmap for how to experience 0% trend. This is the same thing I did at Express Scripts. It’s not easy. You have to implement the arsenal of programs to make it happen. I would suggest that you meet with your account representative and create a plan to get here. It may only be a correction, but if you correct down and start experiencing lower trend off a lower base, that will create real savings. George – can you provide any examples where pharma is pricing based on QALY’s? I looked back at my notes (which I was writing quickly while he spoke). I don’t remember hearing any specific examples. He talked about it, but maybe it’s in the works. I think there have been a few contracts like this in Europe.